Lenox takes first at MAPACA 2013! 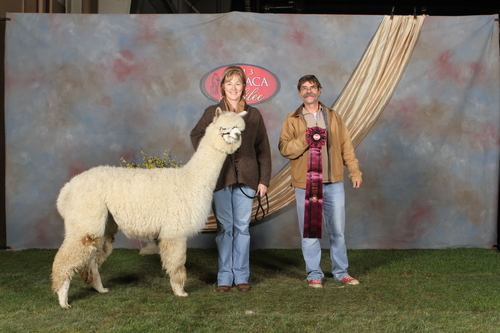 Jack takes first at MAPACA 2013! Revlon places second at MAPACA 2013! Hold Everything! There are crias on the farm! 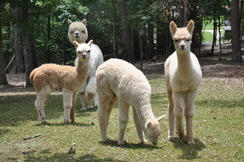 2013 brought the first spring birthing season to Quaint Acres Alpacas. We aren't kidding when we tell you that warm and fuzzy is more than a feeling! These little ones are ADORABLE, and are so much fun to watch as they run, romp, and pronk through the fields! 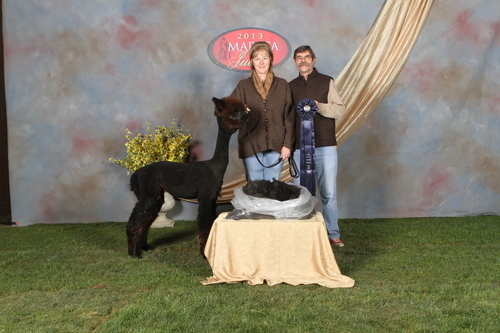 We are pleased to announce our results at the Mid-Atlantic Alpaca Association (MAPACA) 2013 Jubliee Show with Lenox and Jack taking first place in the first ever MAPACA Composite Class! 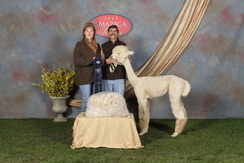 What a testament to their stunning conformation and fleece! We are also pleased to announce our purchase of CSAF & Cagney's LLC Revlon at the MAPACA Auction. This multi-banner winning lady is just lovely! She competed in the Jubilee Show and came to her new home with a 2nd place - just lovely! Success at the Carolina Alpaca Celebration! We are pleased to announce our results at the 2013 Carolina Alpaca Celebration! Lenox made us proud with her first place BLUE RIBBON and Jack delighted us with his second place finish! It was a great show!